Discussion in 'Star Style' started by SweetHomeNC, Feb 19, 2009. 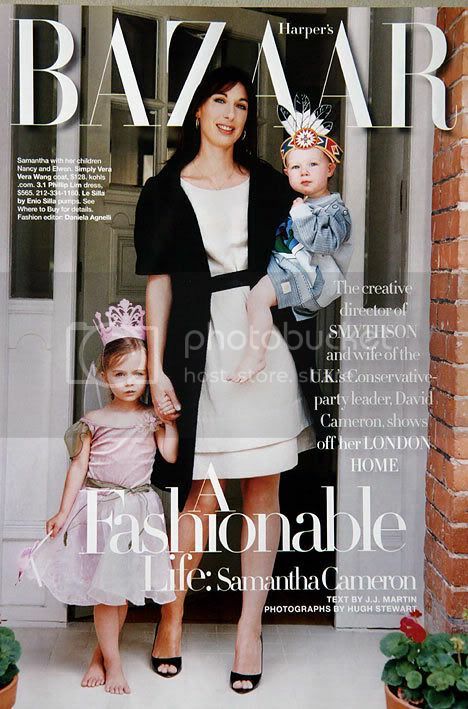 Samantha Gwendoline Cameron is an English business executive and wife of the Conservative Party leader David Cameron. 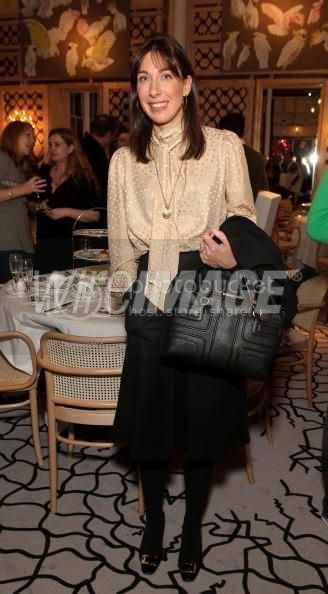 She is the co-owner of Oka interior design and lighting shop, a luxury goods business in Notting Hill, London. She is also the creative director of Smythson of Bond Street, a stationery firm. 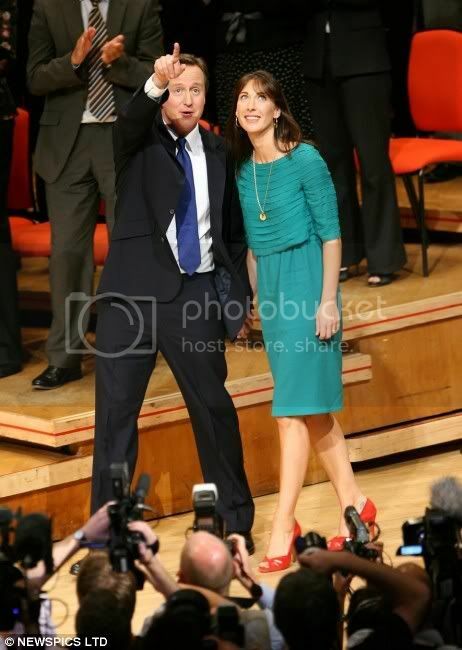 her looks is very sophisticated, unlike the usual British politicians wives. 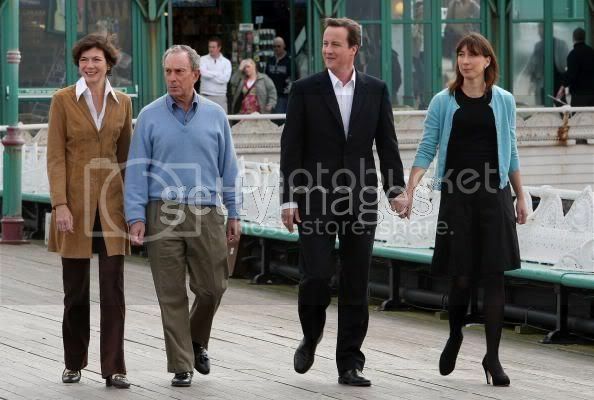 My deepest sympathies to the Cameron family. 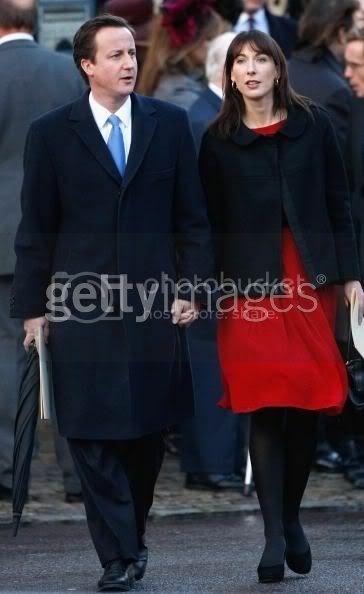 Gordon Brown spoke of his sadness this afternoon at the death of David Cameron's eldest son Ivan. The Prime Minister, whose own baby daughter Jennifer Jane died aged just 10 days in 2002, expressed his and his wife Sarah's sorrow at the six-year-old's sudden death. 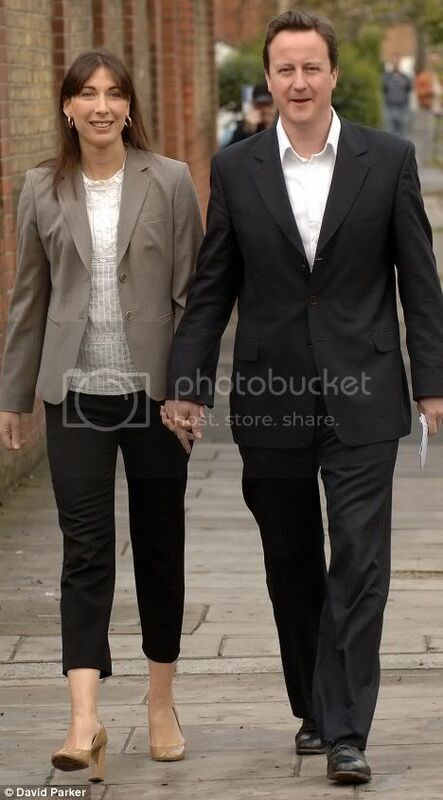 The Tory leader and his wife Samantha were at Ivan's hospital bedside when he passed away this morning. The youngster, who suffered from cerebral palsy and epilepsy, was taken to St Mary's hospital, north-west London, after falling ill during the night. 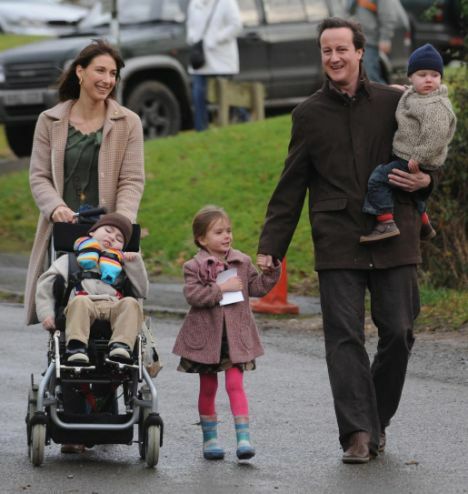 Mr and Mrs Cameron have two other children, Nancy, five, and Arthur, three. 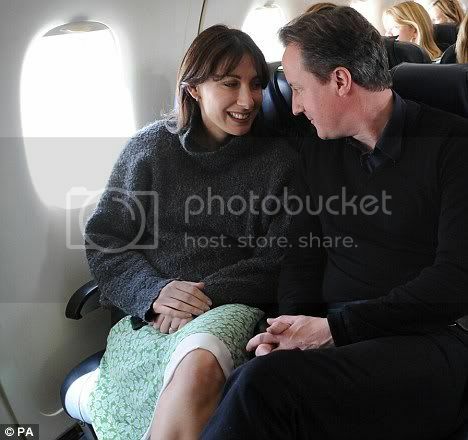 Mr Cameron, 42, and his 37-year-old wife returned home to mourn in private. In poignant scenes, the Tory leader was seen collecting Ivan's specially-adapted wheelchair from the family's people carrier outside the house. He wheeled the empty chair back into their family home after briefly speaking to a colleague outside. At Westminster, the normal hurly-burly of politics came to a shocked and sympathetic halt. 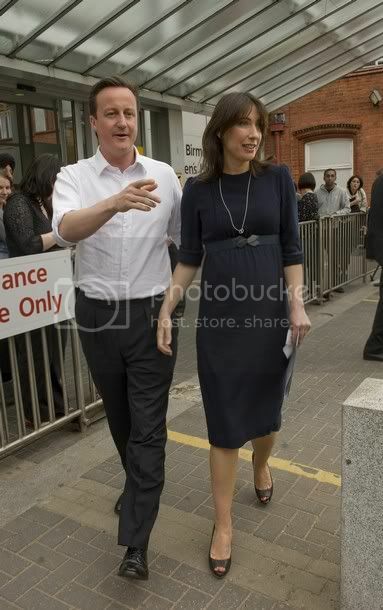 Ivan was the Camerons’ first child, born at Queen Charlotte’s Hospital in London on 8 April, 2002. He suffered his first seizure within weeks and was in and out of hospitals all his life. Ivan was classed as a quadriplegic and could not crawl, walk or talk and was never expected to be able to. His condition was described as 'rare with poor outcomes' and although he could interact with his parents he was often in pain. 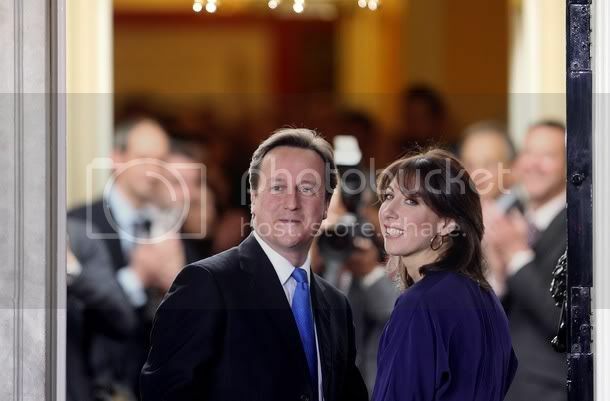 Mr Cameron is expected by senior colleagues to be off work for a fortnight. At Cameron's suite of offices in the Commons there was an air of mourning. Several staff were in tears at the death of a child they had all come to love. 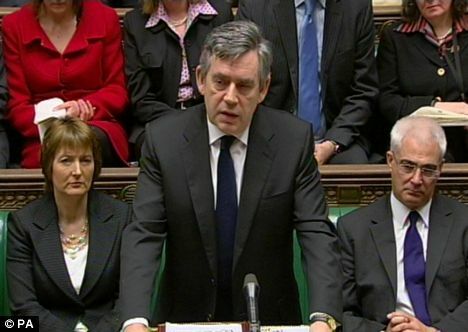 Gordon Brown was visibly moved as he led tributes in the House of Commons where business was suspended briefly as a 'mark of respect' following the Tory leader's loss. Mr Brown was joined at noon by Mr Hague and Liberal Democrat deputy leader Vince Cable in delivering sombre messages of sympathy and condolence. 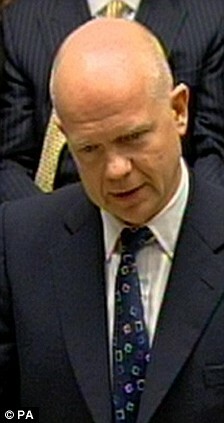 William Hague said the Camerons had passed on their thanks for all the messages of support. He added: 'Ivan's six years of life were not easy ones. He added: 'Ivan suffered much in his short life but he brought joy and love to those around him. Mr Hague said the Camerons were 'hugely grateful' to the NHS care workers who 'not only did their utmost for their son this morning but have helped every day since he was born'. The premier, wearing a black tie, told MPs: 'I know that the whole House will want to express our sorrow at the sad death this morning of Ivan Cameron at the age of just six years old. 'I know that in an all too brief life, he brought joy to all those around him and I know also that for all the days of his life, he was surrounded by his family's love. 'Every child is precious and irreplaceable and the death of a child is an unbearable sorrow that no parent should ever have to endure. 'Politics can sometimes divide us. But there is a common human bond that unites us in sympathy and compassion at times of trial and in support for each other at times of grief. 'Sarah and I have sent our condolences to David and Samantha and I know the whole country - our thoughts and our prayers - are with David, Samantha and their family today. Mr Cable added: 'I think everybody in the House has experienced bereavement, but there is something especially sad and shocking about the loss of a child. Speaker Martin then told MPs: 'This House will share with me its sadness at this news and our hearts and sympathies go out to David and Samantha and to Nancy and Arthur. Ivan Reginald Ian Cameron was born at Queen Charlotte's Hospital in London on April 8, 2002. His condition was diagnosed just days after he was born and he required 24-hour care throughout his life. 'Ivan, who suffered from a severe complex neurological disability, was taken ill overnight. 'Ivan has been a patient at this hospital for some time, and is well known to staff. 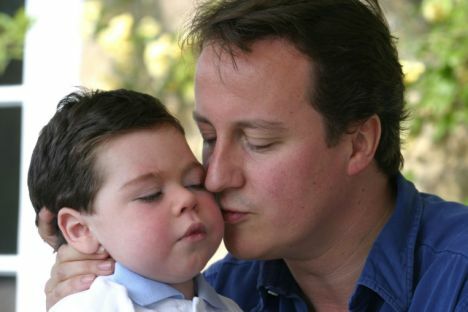 Recalling the moment he found out his son was disabled, Mr Cameron said the news had hit him 'like a freight train'. 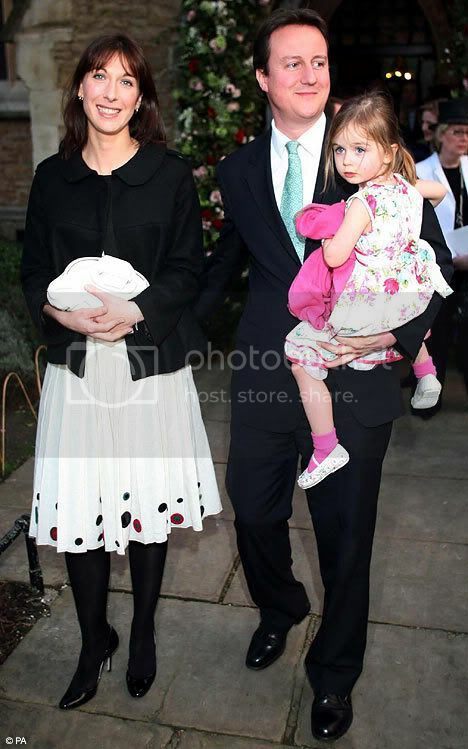 Mr Cameron said: 'You obviously worry about everything as a parent and you start asking questions. 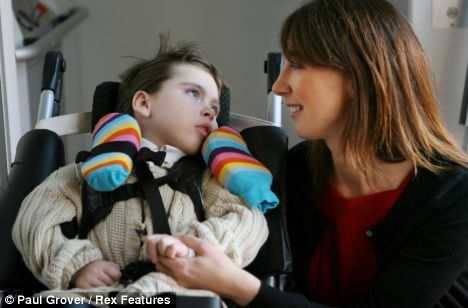 'Initially, we were told it was fine, then we went to hospital and they ran some tests and we were told he had a very rare condition which has very poor outcomes. He added: 'You are depressed for a while because you are grieving for the difference between your hopes and the reality. rare epilepsy syndrome that occurs in childhood. In this type of epilepsy, seizures start before the child is three months old and usually in the first 10 days after birth. Most babies have an underlying structural brain abnormality which may be caused by genes or brain damage before or around the time of birth. All babies with this syndrome are neurologically very abnormal, according to the charity Epilepsy Action. Mr Cameron often spoke publicly of his love for Ivan and his gratitude to the NHS for the care it provided. 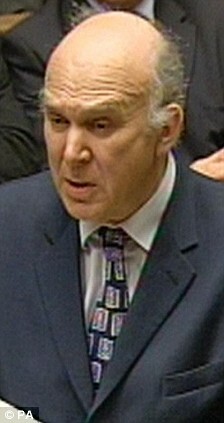 Ivan was frequently taken ill with fits and required emergency hospital treatment, sometimes forcing the Conservative leader to miss engagements. Colleagues of the Tory leader have said that the constant care that Ivan needed throughout his short life influenced Cameron's political views. 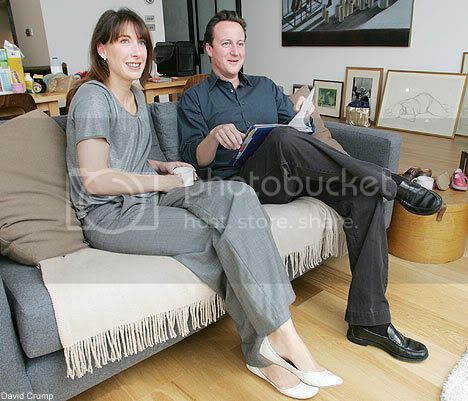 Ivan's condition meant he required care at night, with Mr Cameron and his wife often taking turns sleeping in his room. The Camerons had to adapt their home in west London to accommodate Ivan, who needed a special lift to get him in and out of his bath. Last year the Tory leader voted to allow controversial research on hybrid human-animal embryos in the hope it would lead to the development of treatments for his disabled son. 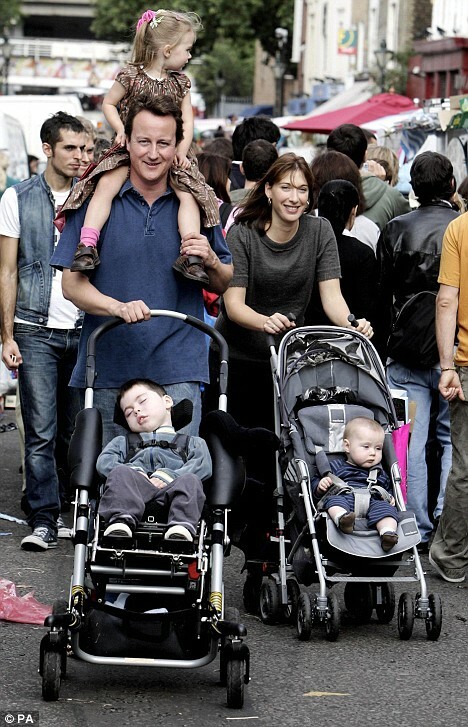 Mr Cameron never shied away from allowing pictures of his family, including Ivan, to be shown in the media. 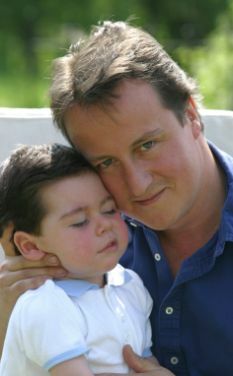 Only last Christmas, the Camerons' annual festive card featured a photograph of the family, with Mr Cameron gazing fondly at Ivan as he held him in his arms. He has spoken recently of the joy of taking his son out into the snow when blizzards struck Britain earlier this month. In an interview with the Daily Mail in September, he rejected Gordon Brown's charge that he used his disabled son as a 'prop'. 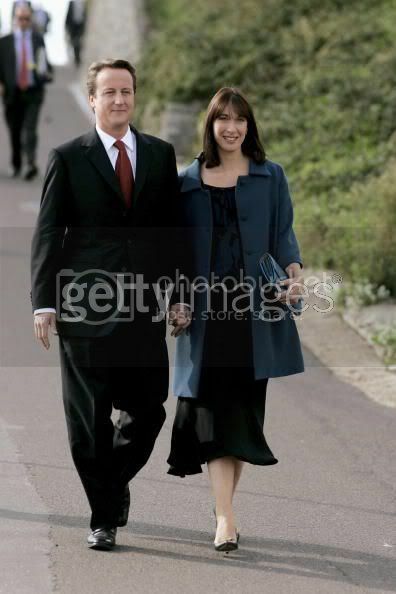 Defending the decision to use pictures of his family on the cards Cameron said: ‘Some people criticise me for talking about Ivan, but he is an important part of my life. Last year, Mr Cameron said of Ivan's birth: 'We did go through a very difficult time after we had Ivan. I have heard it likened to a period of mourning. 'You are mourning the difference between what you thought was going to happen - when you imagine yourself having children, you always think of bouncing them around, running with them, playing football. 'When it becomes clear that isn't going to be the case, there is huge disappointment and uncertainty. 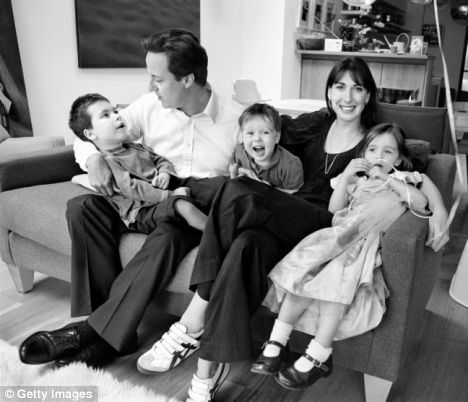 Cameron said that he and Samantha had feared having other children, not knowing whether they would also suffer with the condition. He said: 'We were nervous. We had some sort of vague genetic counselling, but there were no certainties. They never did get to the bottom of whether it was genetic with Ivan. 'If it was, there was a one-in-four chance that subsequent children would be affected. If it wasn't, there was only a one-in-a-million chance. 'The best they could tell us was that it was probably something like one in 20. There was no test we could have. We crossed our fingers and prayed. Reverend Dr Elizabeth Thomson, vicar of St Mary's Church in Witney, Oxfordshire, where the funeral may be held, said: "It is very sad. The community offers the Cameron family our deepest sympathy. "They are all in our prayers. The family are very popular in the village and we hope they know we are all thinking of them at this very difficult time." 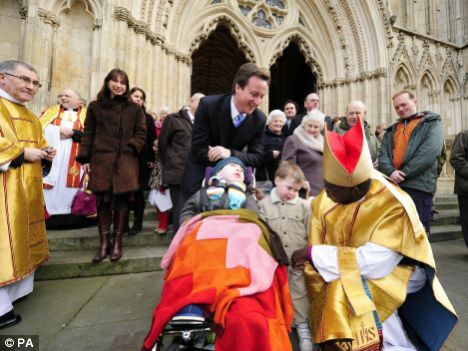 Today the church - of which Mr Cameron is patron - held an Ash Wednesday service where prayers were said for Ivan. Downing Street also announced that the formal unveiling of a new portrait of former prime minister Lady Thatcher, which Mr Cameron had been due to attend at Number 10 later, had been postponed. Mrs Cameron seems such a lovely, classy lady. Does anyone know what labels she uses? 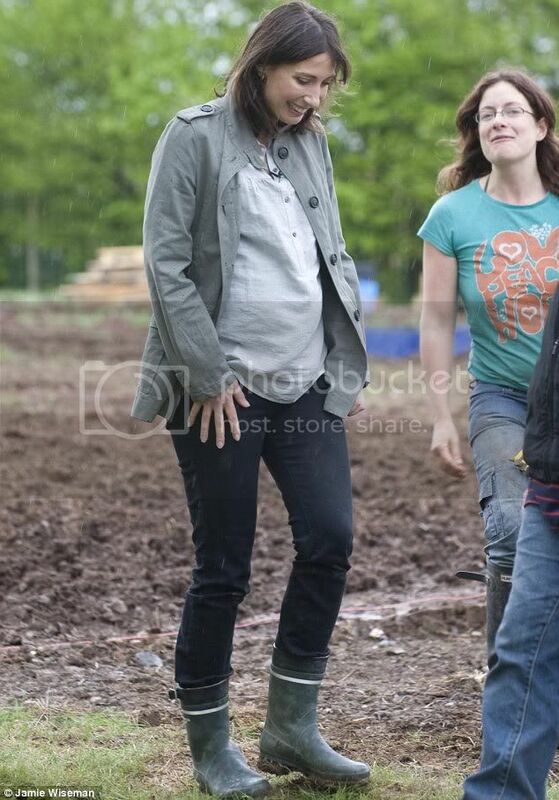 I find her style quite plain and mumsy if anything. I actually think Sarah Brown dresses better, not that it's a competition. 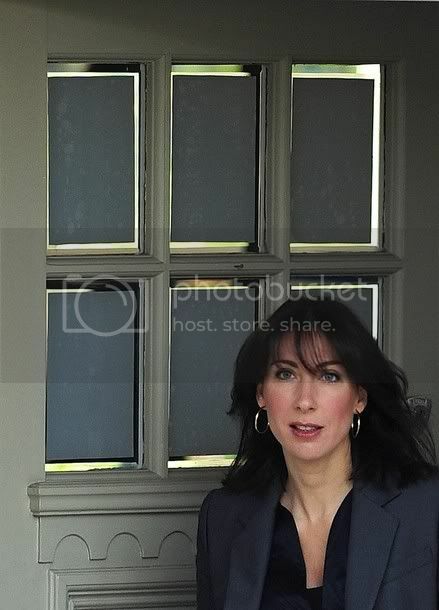 Samantha Cameron wife of Britain's Prime Minister David Cameron leaves her West London home to take her children to a nearby school Wednesday, May 12, 2010.